In an interview with La Tercera, the Chilean director described his surprise when he received the award from the celebrated Yugoslavian filmmaker Emir Kusturica, who handed him the trophy for his direction of "Coronación". - Were you expecting this award? No, not at all. It took me completely by surprise. I never thought I'd win. I never imagined it. - What happened when they announced the award? They mentioned my name. I heard something in French like mise en scene, and headed up to the stage, rather surprised at receiving an award for something I wasn't even sure of. Behind the scenes, I discovered I'd won the Best Director award. La Tercera. The distinguished career of Chilean filmmaker Silvio Caiozzi received new recognition yesterday, when he was awarded the Best Director prize at the Montreal Film Festival, in Canada, during the closing ceremony. His colleague, Emir Kusturica, presented him with the invaluable award for his work behind the cameras on the film "Coronación", which opened this year and is based on the novel by the same name by José Donoso... El Metropolitano. Without even knowing exactly which prize he'd won, Caiozzi went on stage to receive his award. "I got my English confused, but it was still a wonderful moment," he said last night. El Mercurio. The Chilean filmmaker Silvio Caiozzi won the award for best director at the Montreal Film Festival, for his film "Coronación"... The director was surprised to hear the news. 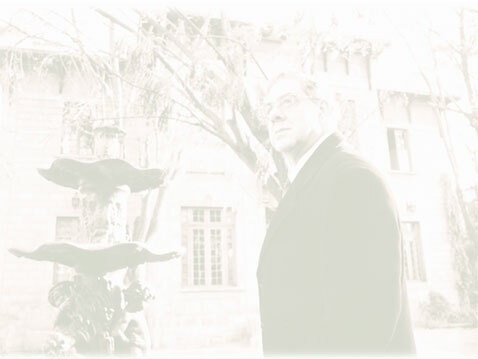 Caiozzi's prize was the only one the jury awarded to the Latin American feature films shown. 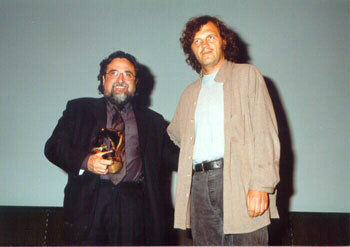 The distinction was officially presented by Emir Kusturica… This is the third time that a Chilean film has received an award in a Class A competition abroad: the others were the Best Actress Award for Gloria Munchmeyer at the Festival of Venice (1990), for her performance in "La Luna en el Espejo", also by Caiozzi, and the Silver Bear that Ricardo Larraín won in the Berlin festival (1992). Las Ultimas Noticias. Silvio Caiozzi's first reaction when he won the Best Director award at the Montreal Film Festival for his movie "Coronación", was gratitude and appreciation of his companions. "The award should be divided up into many little pieces," the filmmaker said, as an excited news conference began at the production office. El Metropolitano. Coronación will open at commercial theatres in Argentina and Canada. In Montreal, Silvio Caiozzi, the delighted winner of the Best Director award at the Montreal Film Festival, revealed that the film came close to winning a second trophy, Best Actor, for Julio Jung. La Segunda. ... Over 200 films were presented during the initial selection for the Canadian competition. Only 23 were selected to share the festival's seven awards. The jury was headed by Iranian filmmaker Abbas Kiarostami... La Nación.